Twenty years after the Spice Girls, here's a more realistic look at Girl Power, courtesy of LA power pop trio Muna. Thinking nobody would believe them... But every time I don't shut up, it's revolution". So stick that up your zig-a-zig-ah. The video carries a more metaphorical take on the song's message, as the trio break into a building and claim it as their own. The clip ends with the band and their friends dancing around in the street - because some Girl Power clichés are too good to abandon. 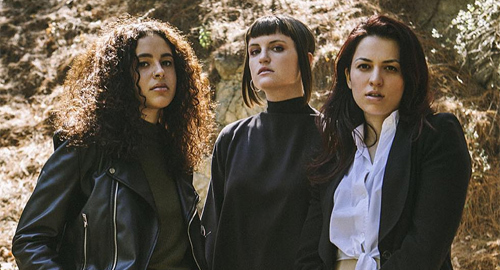 If you want to know more about Muna - they're former USC students Katie Gavin, Josette Maskin and Naomi McPherson, who started off jamming in hotel rooms before morphing into a sort of goth version of Haim. They have the usual social media pages for you to follow. They can also "cut it" live, as this video confirms.